You’ve worked hard to build your contracting business–now make sure it’s protected with the right Special Trade Contractor Insurance Policy from MMG. Most likely, you’ve made a significant investment in your contracting business – in purchasing expensive tools and heavy equipment, training your subs, furnishing your shop with computers and other office equipment. Most likely, you’ve put everything you have into getting your business off the ground and making sure it continues to succeed. The last thing you need is to worry about whether you have the right insurance to protect it from financial ruin. Unfortunately, in the world of contracting, everything that can go wrong, will. Unfortunately, you just never know when fire, vandalism or simple human error can destroy your life’s work. Protect your piece of the world with a Special Trade Contractor Policy from MMG Insurance. Our program is designed specifically to meet the special needs of contracting businesses. Written under a business owner policy, it provides commercial general liability protection for legal liability exposures unique to your business. It also offers business property protection – at competitive rates. 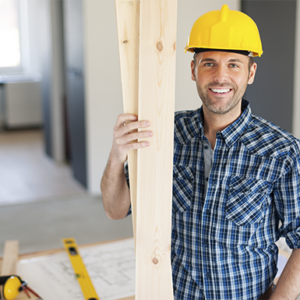 Whether your trade is eligible for the MMG Special Trade Contractor Policy; we offer coverage for contractors in a wide range of trades, from carpenters and electricians to landscapers, painters and masons. How you can add extensive coverage with our Valu-Pak to meet your broader contracting needs.